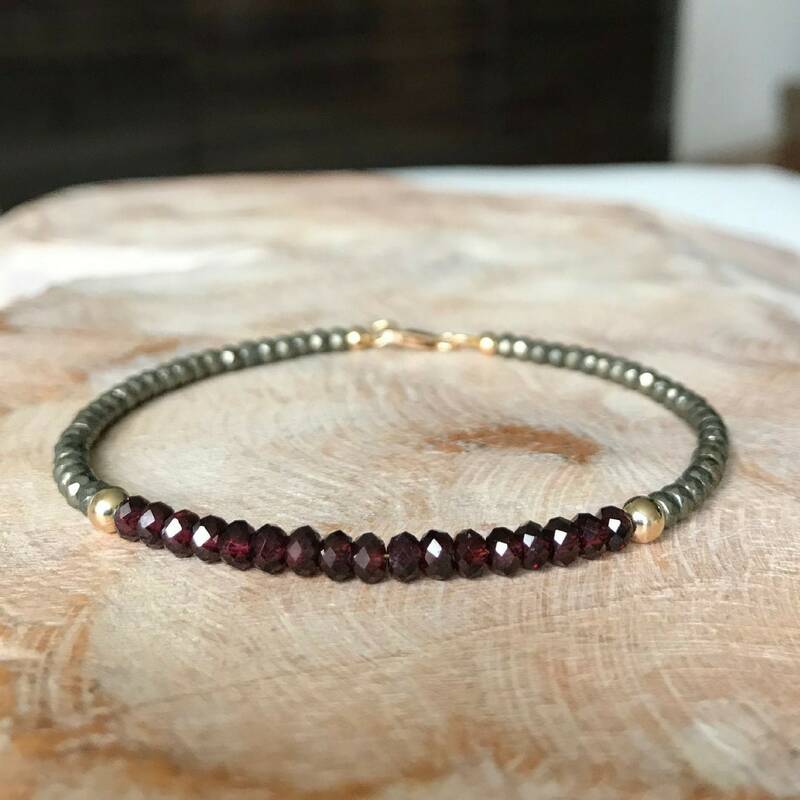 This beautiful genuine garnet bracelet is incredibly pretty and delicate. 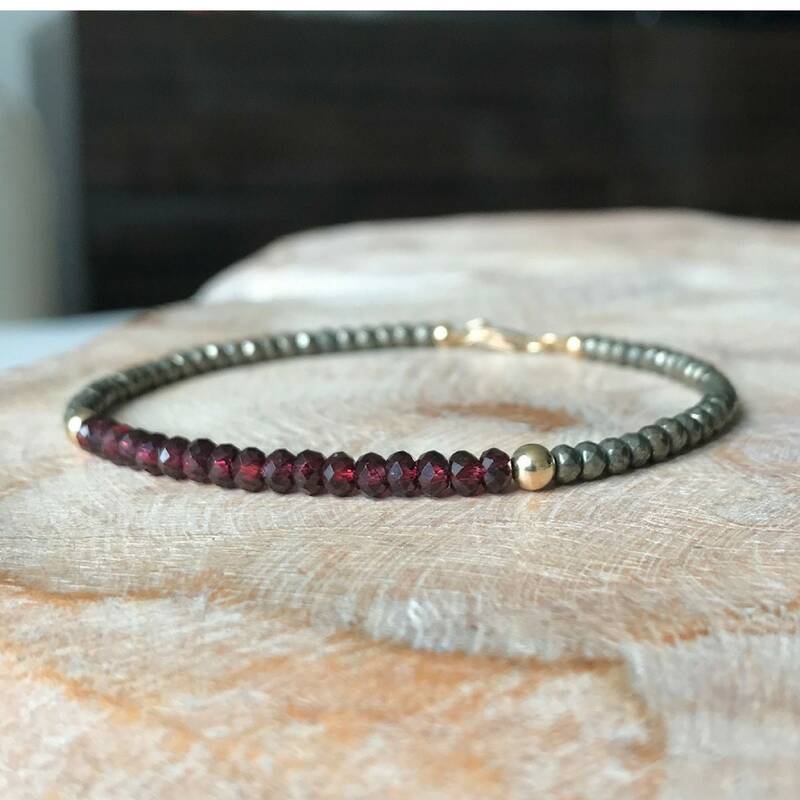 The garnet is paired with pyrite and finished with a gold filled lobster claw clasp & findings. 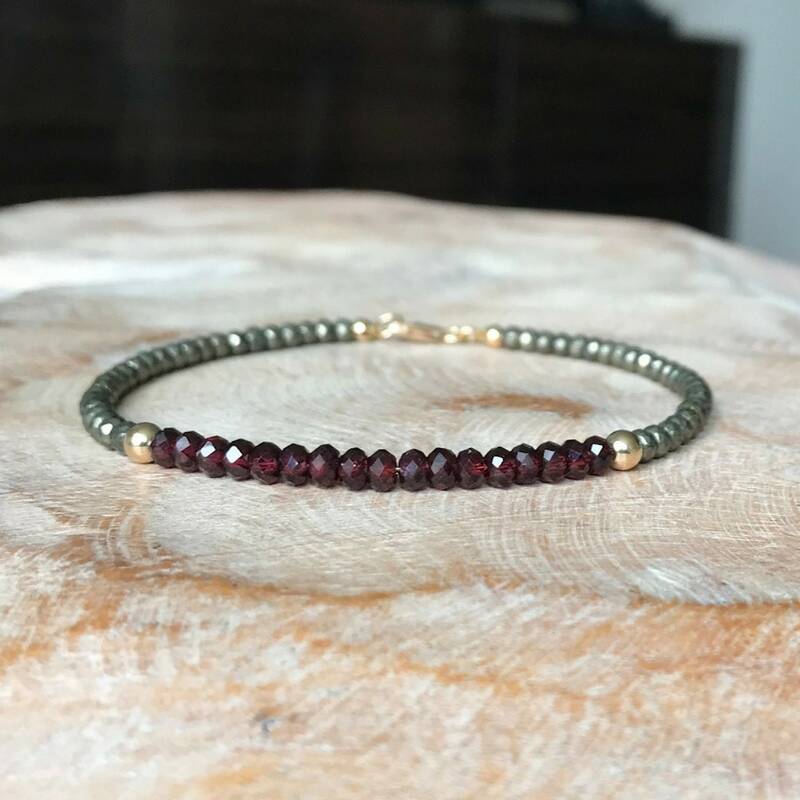 It's so wonderful on it's own and looks great stacked with other bracelet. 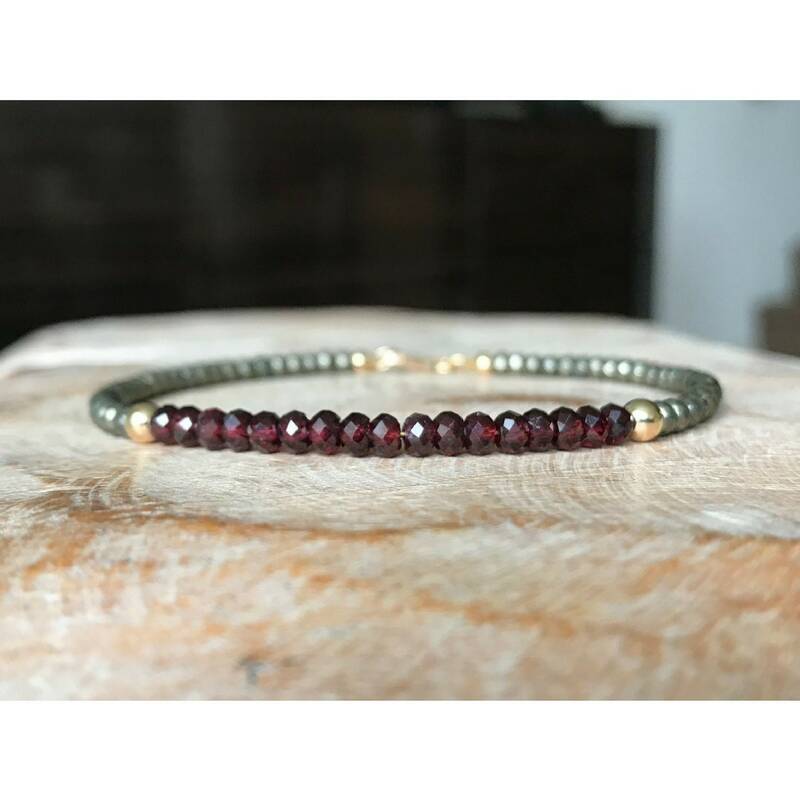 The faceted garnet stones are approx 4mm and the pyrite approx 3-4mm. Please select your wrist size from the drop down menu above at check out. Do not hesitate to message me should you need help getting your proper wrist size measurement.